This model runs out of memory in the branch-and-bound. Consider using CPLEX node files to reduce memory usage. CPLEX Error  1001: Out of memory. It should be possible to allocate memory before starting the branch-and-bound so that always the best integer solution so far can be reported. Note also that the iteration count reported is wrong. Some MIP models are small but very difficult. An example is described here (this model has 252 binary variables). Now I am working on a very small scheduling application with only 217 binary variables. Cplex finds good solutions very quickly, but it is not able to close the gap in any significant way in 6 hours. An integer solution with obj=2.1636 is quickly found. Two other integer solutions are found down the road, but they don't improve on this significantly. The best relaxation bound is moving very slowly, and as a result the closing of the gap is sluggish. This is the assignment problem described in Donald E. Knuth, "The Stanford GraphBase: A Platform for Combinatorial Computing", ACM Press, 1993. The gray scale data was generated by lisa(360,250,255,0,360,0,250,0,22950000) and is used to color (small) Excel cells. A Platform for Combinatorial Computing", ACM Press, 1993. Note that GDXXRW cannot read/write directly to the spreadsheet that has VBA code running, neither can we make it shareable. This algorithm bypasses this problem by copying input and output data to external workbooks. The model is a large but easy RMIP: 600 equations and 90,000 variables. The free LP solver CBC can solve this quickly: 0.6 seconds. Note: the model is too large to solve with MS Solver Foundation Express and Standard Editions (see: note). Using the Check button in the MS Solver Foundation Excel plug-in seems to indicate that the Excel binding is somewhat slow. In addition the plug-in does not provide a progress window (see second picture below) which is very useful for long running MIP models. Although the GAMS/EXCEL/VBA route requires more programming, for some classes of models this approach seems more flexible than the MS Solver Foundation Excel plug-in solution. Of course for ultimate flexibility at the cost of even more programming effort you can use the MS Solver Foundation .NET API's. If you have the funds to buy Cplex: running Cplex on 4 cores and more aggressive cut generation reduced the solution time to 33 seconds. This is new to me: http://www.knechtmagicsquare.paulscomputing.com/topographical.html. Is there more information on this? Can this formulated as a MIP or CSP model? The setting Domain Over Weighted Degree seems to be useful for a number of CSP models in the Microsoft Solver Foundation. Apparently it is skipping some substitutions. This is not like what I am used to in macro preprocessors for languages like C and Delphi. How to generate a PNG/GIF file with multiple plots? Gnuplot allows to generate bitmaps containing multiple plots. See below. The code can be found in rabbitplot.gms. If you want to do more with Gnuplot you may want to keep an eye on this upcoming book. Some issues I raised wrt MSFCLi.exe will be fixed in the next release of MS Solver Foundation. Bruce McCarl built some wrapper around INVERT. Rebuttal: I have used this tool for many years in many different projects without ever having the need to invert a square matrix over different sets. I would conjecture that the model is in all likelihood incorrectly organized if you need such functionality. Besides, it was my thought that if needed I can always use a simple mapping to overcome this limitation (again: I never had to do this). But of course it is an excellent idea to extend the functionality of INVERT using the proposed wrapper. This report shows some good results with Mosek on a very large convex NLP model. LS is a solver for estimating linear regression models in GAMS. It solves the normal equations (X'X)b=X'y to introduce numerical instability. It was originally developed by Erwin Kalvelagen is the original author [sic] and further information can be found in the solver manual or at the Amsterdam Optimization Modeling Group's web site. This statement is not completely correct. I surely don't want to solve the normal equations to introduce numerical instability. Actually I don't form the normal equations at all (for good reasons). The algorithm is based on a stable QR decomposition (see section 5 of LS solver documentation). The code has been verified to solve some very numerically challenging problems. 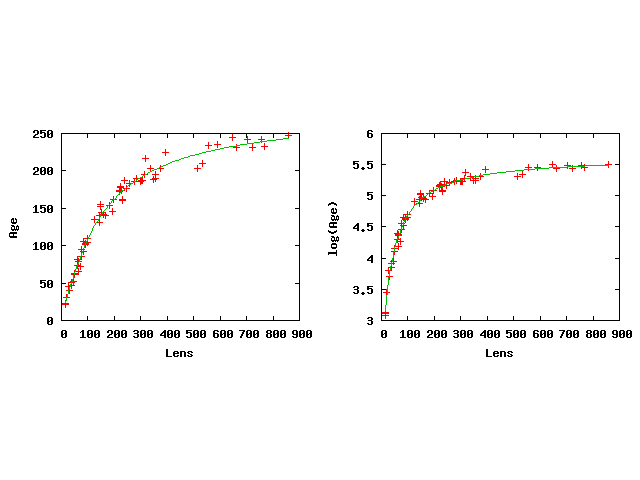 Some users have used LS to solve regression problems with hundreds of coefficients to estimate. How to express a normal distribution function in GAMS. See also: http://amsterdamoptimization.com/pdf/specfun.pdf for more information. Your example is allowed as there is no contradiction. Urged by Josef Kallrath, I presented at the meeting Scheduling in the Process Industry this talk. This was a great venue.